The Sequin. How such a small shiny little metallic disc can be so complex. 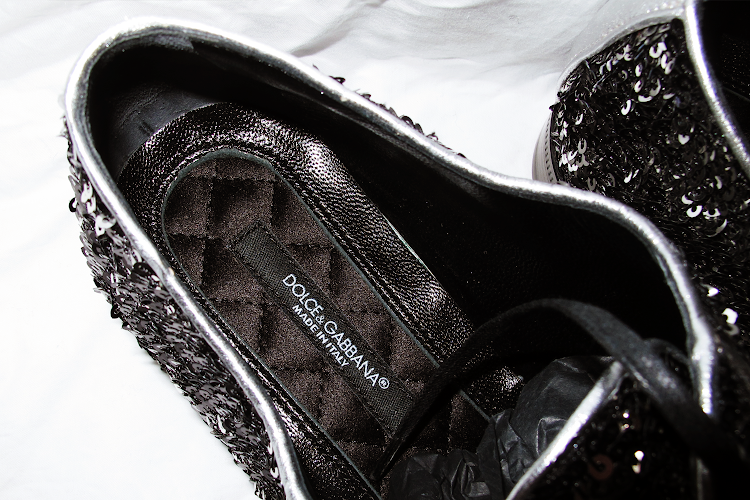 Add sequins all over a classic dress shoe like how Dolce & Gabbana have done and you've got a masterpiece. 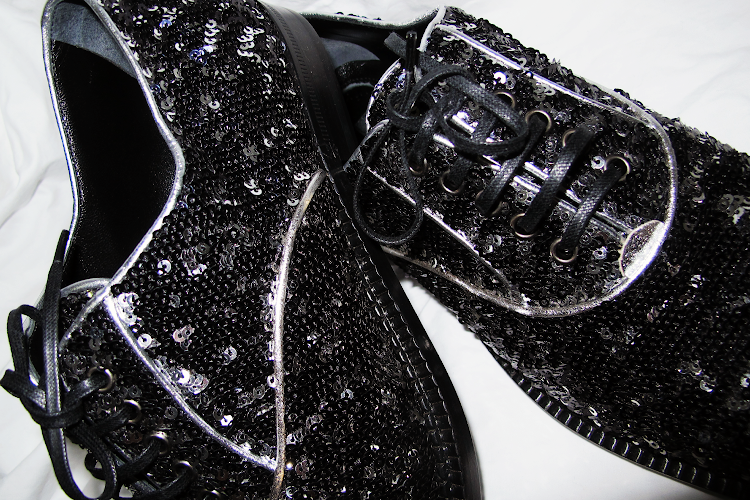 I'm not going to lie I'm beginning to collect sequined shoes...and the like. 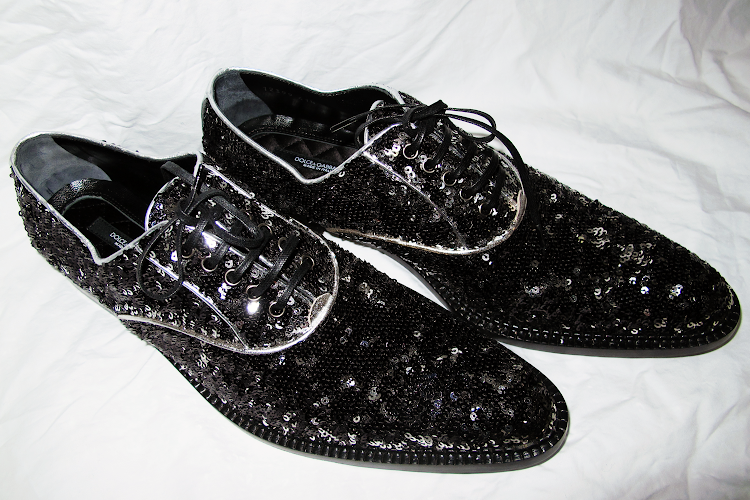 Remember my sequined Derby Shoes in Sequince Overload? Both from the Fall 2011 Collection, they just speak to me and they're also a fun way to play up a minimal or formal outfit. Black Sequins with a silver back for dramatic effect. Heaven to my ears.